Georgina was born in the rural county of Suffolk but, after graduating with a 2:1 in Events Management with Business Management at the University Campus Suffolk, she decided to move to London for a much faster pace of life. Georgina started her career within recruitment and customer services where she discovered her passion for building strong client relationships. Georgina joined The Core Partnership team in July 2018 as a Recruitment Researcher/Coordinator and after 5 months she has now moved in to the Recruitment Partner role. Within the Recruitment Partner role Georgina actively searches for and communicates with candidates, as well as speaking to clients to help them find their perfect Company Secretarial candidates. 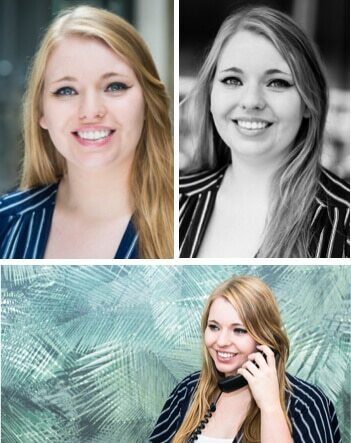 Although Georgina's role has changed some things have stayed the same, as Georgina continues to strive to deliver a first-class recruitment service for all candidates and clients. Georgina also relishes a challenge and stepping out of her comfort zone, this was particularly true when she decided to have a change of scenery by going on a ski season in La Plagne (despite not knowing how to ski or snowboard!). Whilst on her ski season she decided to learn how to snowboard which she later found out to be the harder of the two sports! This experience solidified her eagerness to go the extra mile for clients and candidates. In her free time, Georgina loves to try new actives whether this is painting at a pottery class, discovering a new restaurant or cuisine, or going parapenting.